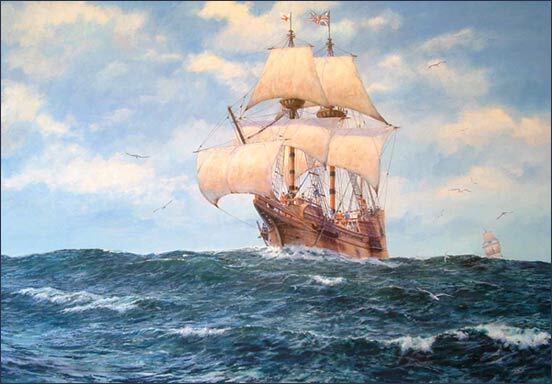 As I worked further and further back in time in our family tree, I was amazed to realize that my family had ancestors who arrived on the Mayflower! Some people know that their whole lives, they wear it like a badge of honor–“My family arrived on the Mayflower!” As a Southerner, I never even thought about that being part of our family history. Of course, as I’ve learned, my family hails from all over the United States as well as the British Isles and Europe. I may identify with the Southern United States, but that is only part of our rich family history! It’s so exciting! The Mayflower, Plymouth Rock! The Colony was settled mostly by people who wanted the freedom to worship as they chose. They were members of the English Separatist Church and felt persecuted by the Church of England. Ten years earlier a group of Separatists had left England for Leiden, Holland, in search of religious freedom. 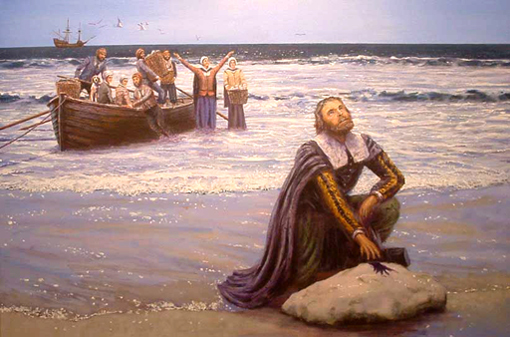 It was William Bradford who was their leader and helped them decide to travel to Virginia where the colony of Jamestown had been settled in 1607. At that time, Virginia reached almost all the way to the Hudson River. Some of the settlers signed the Mayflower Compact which was an agreement that bound the signers into a governing body, establishing constitutional law and the rule by majority–an important step towards democracy. We came to call these settlers Pilgrims. They were helped to succeed in establishing their colony by a Native American of the Patuxet people named Squanto. He helped them establish a treaty with Chief Massasoit. Our tradition of celebrating a day for Thanksgiving started in Plymouth. As I understand it, both as a way to thank the Native Americans for helping them, and as a way of setting aside a day to thank God for their very lives. Just look at this painting! Can you imagine traveling for two months with 102 other people and livestock in this 90 foot long ship! No wonder they were in such bad shape that most of them died the very first year that they lived in America. Can you imagine the courage, the commitment, the beliefs you would have to have to take such a journey to a strange and unsettled land! Now I know three of my grandparents, some cousins, and many people related to my family through marriage did exactly that! What a legacy! Their blood runs in my veins, in the veins of many of you who are reading this article, and to me that is amazing! 1620-2014, 394 years ago–do you think they dreamed their lives would undergo such scrutiny!? If any of you know this information for Mike, please contact him directly at Mike@MikeHaywoodArt.com.uk. –or leave a message here in comments and I will be sure to get the information to him. View the original list of passengers (PDF, 2.6Mb) from the handwritten manuscript of Gov. William Bradford, written up about 1651 (file link is to the State Library of Massachusetts). Below is a complete list of all Mayflower passengers, along with a link to each for further information. Johnand Eleanor Billington, and sons John and Francis. Stephenand Elizabeth (Fisher) Hopkins and childrenConstance, Giles and Damaris; son Oceanus was born during the voyage. Williamand Susanna White, and son Resolved (sonPeregrine was born shipboard in Provincetown Harbor after arrival). While Thomas’s eldest son Joseph came over with him on the Mayflower, his son John, whom I descend from, and his son James, whom Max descends from came over later and became landowners in Plymouth Colony also. There is so much I’d like to tell you about the Rogers family and their rich, rich history! I think however, it will have to wait for a separate blog post. I do want to remind you that these relationships are based on my own research, which is always a process, and have not been proven by any of the governing bodies or societies. Because they are ancestors of our ancestors, we are also kin to John Alden, Priscilla Mullins and her father William Mullins. My daughters would have loved their 12th great- grandfather, William Mullins, because he was apparently a shoemaker, who reportedly took over 250 pairs of shoes and boots with him on the Mayflower! The colonists didn’t go barefooted! John Alden and Priscilla Mullins would have made a romantic pair on the voyage as well, they apparently fell in love during the arduous trip! 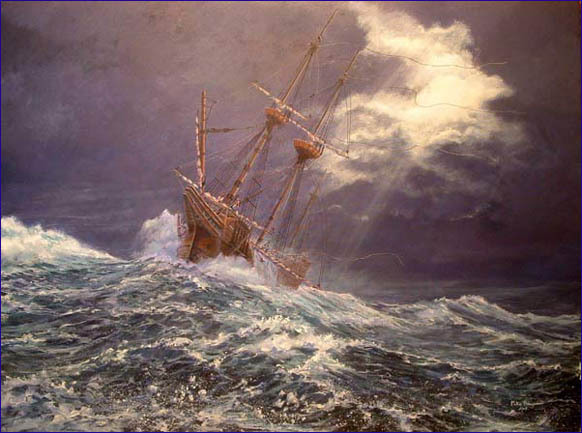 From John Alden & Priscilla Mullins Biography from the website: Alden Kindred of America, we learn that: “Priscilla Mullins was the daughter of William Mullins, also a passenger on the Mayflower with his wife Alice and son Joseph. William, Alice and Joseph all died in the terrible sickness and deprivation of the first winter in Plymouth. Priscilla, who as probably still too young to be married, was orphaned, her only surviving kin her brother and sister in England. 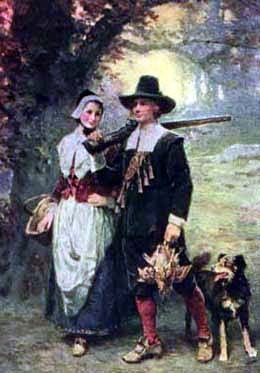 Poet Henry Wadsworth Longfellow celebrated the story of how Priscilla attracted the attentions of the newly widowed Captain Myles Standish, who asked his friend John Alden to propose on his behalf only to have Priscilla ask, “Why don’t you speak for yourself, John?” Most of the world draws its image of the Pilgrim story from Longfellow’s epic narrative poem, The Courtship of Myles Standish. The basic story was apparently handed down in the Alden family and published by John and Priscilla’s great-great-grandson, Rev. Timothy Alden, in his Collection of American Epitaphs and Inscriptions in 1814 (264-271).” The picture below of John Alden and Priscilla was found on ancestry with no reference to artist, and is part of the public domain. We are kin, as cousins to John and Edward Tilley and therefore to their families who came with them aboard the Mayflower as well. John came with his wife Joan Hurst Tilley and their daughter Elizabeth who married John Howland in Plymouth. Edward’s wife, Agnes Cooper might be kin to us separately as well, only more research will tell. Their niece and nephew who came on the Mayflower with them, Humility Cooper and Henry Sampson are also connected to the family. Because he is my cousin’s grandfather, I am kin to Edward Fuller and his son Samuel, through marriage, thanks to Kay Youngblood Fuller and her husband Jim Fuller. We have a family connection to the Hopkins as well that may turn into direct kinship once thoroughly researched. That is at least 18 of the 102 people aboard the Mayflower that we are related to or connected to by family! That is hard for me to believe, and quite eye-opening! Sometimes I just stand awestruck by history and finally the understanding that historical events were about family, not just events! Those were our ancestors being tossed around on those waves, and our ancestors putting their pen to paper to agree to make their own laws! Good for independent spirits, I’m so proud to be related! Categories: 52 ancestors' stories in 52 weeks, Genealogy, Houchins family posts, Mayflower Ancestors, Rogers Family Posts, Wagner family posts | Tags: Edward Fuller, John Alden, John and Edward, John Howland and Elizabeth Tilley, Mayflower, Pilgrims, Plymouth Colony, Priscilla Mullins, Thomas Rogers, Tilley, William Mullins | Permalink. You Can Discover Amazing Things in These Family Trees! Tonight I was perusing some the family tree of some friends of mine,which they had shared with me, when I came across the Rogers name. 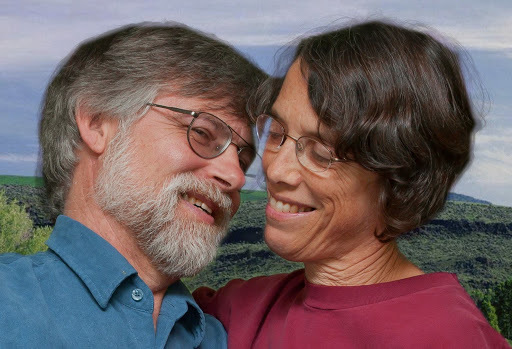 We had mentioned in passing some time ago that there were Rogers in their family tree, and that not only was my husband’s mother a Rogers, but also I had discovered that my college roommate, and friend of over 40 years, Carol, was kin to the same line of Rogers. After discovering their relationship, I was very surprised to find another cousin for them in my own Red Hatters group! So , now my husband had two new cousins, Carol and Adair, and what…now here is a third one, Marilyn–in the same Rogers line! Those Rogers were prolific people and widespread in North Carolina! My husband is from the western part of the state, Carol from New Bern in the East, Adair from Louisburg in the central part of the state, and now Marilyn from the North–I mean New York north! Max and I have known Marilyn for 30 years without knowing she was kin, and we’ve known Carol for over 40! We just had the pleasure of getting to know Adair in this last year! Coincidence? God at work? I have come to realize that if you can trace your family back to the early 1600’s through the early 1700’s here in the colonies, well more than likely you are going to be kin to almost everyone who was here then! There were so relatively few people, with such large families, that cousins married cousins, and neighbors married neighbors. Since I come from Virginia, and can trace parts of my family back to Jamestown, I know what I’m talking about! LOL It seems I’m kin to everyone in the United States– if we dig far enough! But there is a very special consideration about our friend Marilyn being a Rogers descendant. In that line are many interesting people, but the one I am focusing on right now is her twelfth great grandfather, John Rogers, the Martyr. 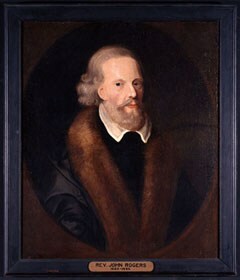 John Rogers was born about 1507 and died in 1555. He was the first protestant burned at the stake by Queen Mary I, “Bloody Mary”! He was burned at the stake because he helped translate the Bible into English and brought printed copies of it back to England for people to read, all by themselves, without the guidance of Catholic priests. That was against the law, and considered heresy! The powerful Catholic church, and their Catholic Queen didn’t want people reading at all, but especially not the Bible. It might undermine their power. One reason this is so interesting to me, is that Marilyn’s husband Thomas A. Clayton, not knowing anything about John Rogers or his wife’s kinship to him, recently wrote and published a book titled, Rebel With A Cause, the Radical Reformer which includes his screenplay The Passion of the Heretic. This full feature, historical drama, is about Michael Servetus, another Protestant martyr, born in 1511 Spain, educated in France, and burned at the stake in Geneva in 1553! Michael Servetus was not put to death by Catholics however, but by Protestants, namely John Calvin, who felt his own power threatened by Servetus. 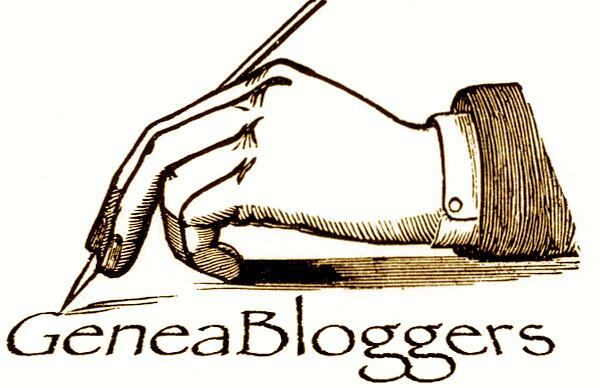 The Servetus Project includes Thomas Clayton’s blog, which you can access here The Servetus Project. Thomas says that he felt called to write about Servetus. I suspect John Rogers and Michael Servetus knew each other. They both were reformers, and much of their work took place in France. Europe was a small place with relatively few people in the mid 1500’s, surely they had heard of each other if they had not met. Now, over 500 years later, the husband of Rogers’ granddaughter feels “called” to write about Servetus! Do you believe in reincarnation? Do you believe people who have died can be our spirit guides? Can you imagine all the universal influences at work in this seemingly serendipitous situation? Thomas and Marilyn Clayton , Servetus and Rogers? By the way, John Rogers the Martyr, is my husband Max’s 14th great grandfather, and he is my friend Carol’s 13th great grandfather. I know he is in my friend Adair’s tree, but I have not filled it in completely, so cannot yet calculate the exact relationship. I stand amazed at discovering things like this during family tree work and research. If you have done some genealogy, I’d love to hear about your experiences. Categories: Genealogy, Rogers Family Posts | Tags: John Rogers, Religious martyrs, Servetus, The Servetus Project. ancestry.com, Thomas A. Clayton | Permalink.